Nor150 is now type approved by BEV in Austria, PTB in Germany and METAS in Switzerland! 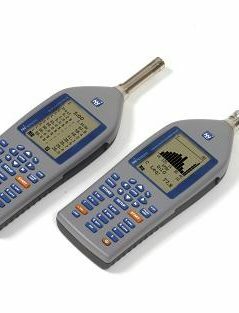 The sound and vibration analyser Nor150 sets new standards in user-friendliness. Featuring the largest colour touchscreen in a handheld meter on the market today, the Nor150 provides the user friendliness of a smartphone. 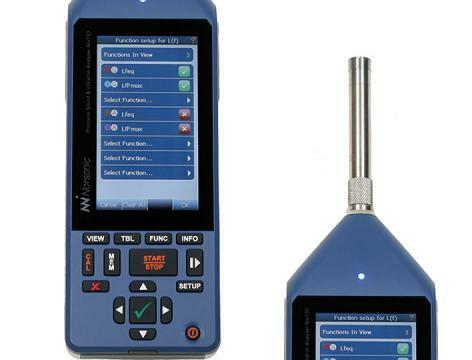 Further features include, built in web server, camera, GPS and advanced voice and text notes bringing the sophistications normally found in laboratory instrumentation out in the field. 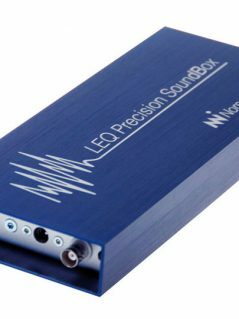 The instrument is a dual channel analyser designed to cover a variety of applications such as environmental noise assessments, sound insulation and sound intensity measurements among many other measurement tasks. Intuitive user interface with graphical icons for selection of mode and custom made user setups. Markers edited directly on the touch screen. Real keyboard for quick operation in challenging environments. Built in webserver makes your Nor150 available through the internet from anywhere in the world whether you configure it for LAN, USB, WLAN, GPRS, 3G or 4G communication. Audio recording on trigger or softkey. You can immediately listen to recordings using a standard headset. Voice and text notes, built in GPS and camera notes help you document your measurements with all. 120dB measurement range broadband and filter. New features added to nor150 Remote, including camera support, alarms etc. Profile B report with trigger possibility. Profile Moving report with trigger possibility. 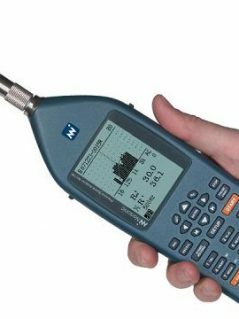 Your Nor150 Analyser is designed to be expanded and upgradeable to give you a complete measurement tool for years to come. Norsonic’s retrofit policy ensures regular software updates with new features and new options followed by a 3 years warranty. 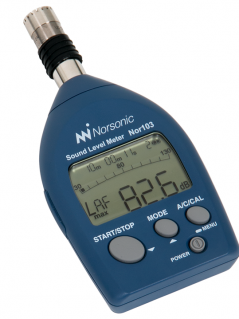 As a general noise analyser, advanced environmental and occupational noise meter you can be sure your Nor150 will be up to date as requirements and standards change over the coming years.